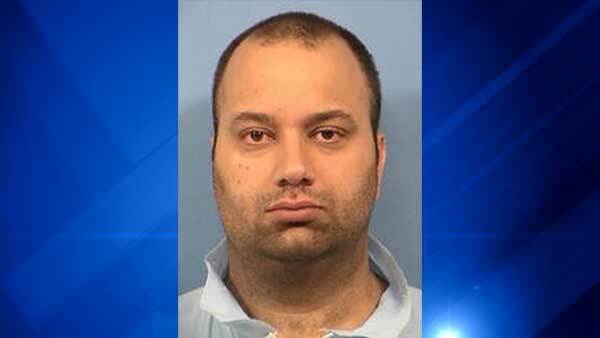 CHICAGO (WLS) -- Joseph Spitalli, 36, was sentenced to 65 years in prison in the murder of a Skokie man and the abduction of his ex-girlfriend. Spitalli was convicted in the murder of 31-year-old Teymur Huseynli and in the kidnapping of then 28-year-old Kristina Baltrimaviciene, of Darien. Prosecutors said he attacked the couple in November 2012 while they were walking a dog. Spitalli argued with Huseynli, grabbed him from behind and slit his throat. They said he then forced Baltrimaviciene into his car at knife-point and took her to his parents' house. Spitalli forced her to call the police and report that she had been beaten. "From the moment he murdered Teymur Huseynli, Mr. Spitalli tried everything he could think of to avoid responsibility," DuPage County State's Attorney Robert Berlin said. "I would like to express my sincere condolences to Teymur's family and friends on their heartbreaking loss. Perhaps with today's sentencing, they will be able to find some comfort knowing that the man responsible for Teymur's murder will spend the next 65 years of his life behind bars," Berlin said.